You are browsing the archive for Jennie Wilson. In an oral history interview with Jennie Wilson, she depicts life in Mayfield, Kentucky during the early 20th century as a community where segregated was prevalent, causing many African-Americans were forced to live in fear. Jennie was born in 1900, the child of former slaves. Although she was free, Jennie still carried many of the same burdens as her parents. As a girl she worked in tobacco fields along side the men, while also cooking and cleaning in white households for a meager wage. She calls the events that took place in Mayfield “scary times,” with one especially horrific event occurring on the third Monday of every month, when white men would get drunk, harass, and sometimes kill members of the black community. Although Jennie’s daughter Alice was born over 40 years later, she also dealt with prejudice and violence in her daily life. In 1965, Alice and nine other black students decided to integrate with white students and attend Mayfield High School. The reason Alice and her peers wanted to attend the school was not so they could study with white students, but because they would have access to better educational resources. In all black schools, students were given old books and other school supplies that had come hand-me-down from the white schools. Once Alice started attending Maysville High School, she was threatened and harassed by members of the school and community. Alice also felt like she was ignored by her teachers and mistreated by her classmates. 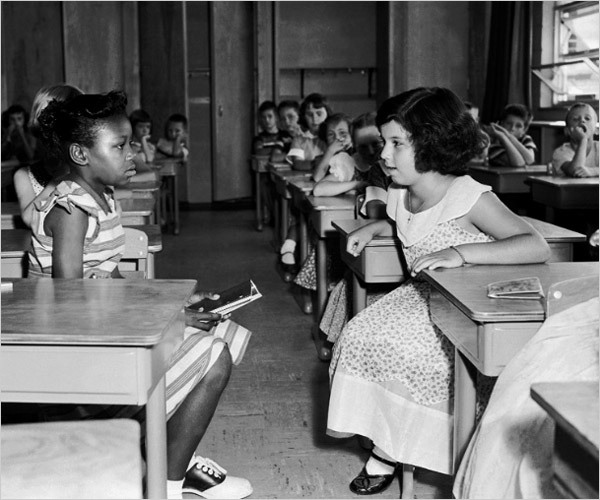 Unfortunately, situations like this were not uncommon after the Brown v. Board of Education court ruling, such as in the case of Ruby Bridges, a six year old girl exposed to violence after integrating into an all white school. Despite the struggles Alice faced in school, she continued to get an education and is now a music teacher. Her three other siblings also attended college. Though integration during this time period was a struggle for African-American students, it helped pave the road to a future where segregation is not an issue, where children are able to attend school no matter their ethnicity, and where learning is a priority in the classroom – not skin color. “Civil Rights Movement in Kentucky.” Civil Rights Movement in Kentucky. Web. 27 Jan. 2013. “KET | Living the Story | Jennie Hopkins Wilson.” Living the Story: The Rest of the Story. Web. 27 January 2013. “Ruby Bridges.” Wikipedia. N.p., 24 Jan. 2013. Web. 28 Jan. 2013. According to the oral history interview with 102-year-old Jennie Wilson, African Americans in Kentucky experienced intense discrimination especially in the realm of education. Jennie describes fearing for her safety at home and hearing of horrendous public displays of racism but also explains how she was only permitted to receive six years of education. Her education, received from her mother and father and other members of the community, included instruction on how to cook and clean and do whatever necessary to provide for your family. Jennie went on to have four children, all of which would graduate from college. Jennie’s daughter, Alice Wilson, launched a very important movement for the education of African Americans and the integration of schools in Mayfield, Kentucky. Alice and a group of her friends chose to integrate their all-white high school independently at age 14. In her portion of the interview, Alice Wilson says that the integration was extremely unexpected and she and her friends had no idea how their actions would be received. As a group of typical teenagers, Alice and her friends entered Mayfield High School to register for school. When she was admitted, the first thing she noticed was the distinction in text books and the fact that the school remained segregated within even though it had been integrated in the eye of the public. The observations from within the school that Alice shares closely parallel efforts to desegregate across much of the southern United States. 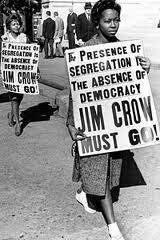 Alice’s commentary regarding the inequality experienced although she was admitted to attend the school is representative of prolonged injustice for African American education in Kentucky and across the nation following the overturned rule of the “Separate but Equal” doctrine in 1954. In expressing her pride for her daughter’s actions, Jennie Wilson explains that her feet have endured quite a lot in her 102 years including the transformation of a society. She came from a world of “scary times” and she and many other members of her community thought they would merely have to learn “how to deal with society” rather than be accepted as an active and equal member. “US History/Eisenhower Civil RIghts Fifties.” Wikibooks. Web. 27 January 2013.